One of the things I love about training is that it teaches so many great life lessons such as hard work, dedication, commitment, sacrifice and delayed gratification. However, life also offers great lessons that can be applied to training. Earlier, we took on the task of re-painting our house. In doing so, I was reminded about 4 important training lessons that will help you get better results with your training. 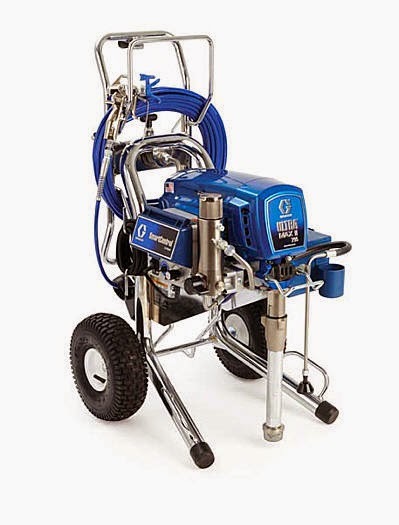 When it comes to exterior house painting, I have one piece of advice for you – get a paint sprayer! Wow, talk about a time saver! As a teenager, I got a job one summer painting a golf course club house. Because of the fancy cars in the parking lot, the owner did not want a paint sprayer used. As a result, I spent that summer painting a large building with a paint brush (I have no idea why I didn’t use at least a roller). Talk about time-in-efficiency! When it comes to your training, I there is one tool you need to have – a quality barbell! Of course there are a few other tools (e.g. dumbbells, kettlebells, rings, farmer’s walk bars) that can be a very helpful addition, but nothing replaces the barbell. If you do not have the right tools, the job of building the body you want will not happen or take way longer than it should. Application question: are you spending the majority of your training time with the right tool(s) for your training goals? 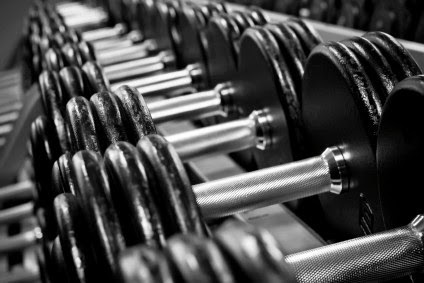 Are you spending some quality time with the barbell? Lesson 2: The prep time matters – big time! When working with a pain sprayer, you have to put your prep time in. I spent half a day prepping and tapping off the back side of our house so my Father-in-law could come by with a paint sprayer and finish that whole side in about half an hour. With a paint sprayer, you can only get fast results if you first put in the prep time. If you do not take care of the out-of-gym factors, your time and effort spend in the gym could yield no results! Once you answer this question, look at how much time you will need to spend shopping for food, chopping vegetables, cooking, eating, cleaning dishes, doing some stress management techniques and getting to bed at a good time. Once you have this all in place, you can look at how much time you can spend training. This is particularly important if you have a body compositional goal (e.g. gain muscle and/or lose fat). Once we finished the house, I poked away at the trim over the next few weeks. With freshly-painted trim, the newly painted house looked even better! However, what would happen if we left the house and just re-painted the trim? Accessories are useless without the big main movements. Prioritize deadlifts, squats and upper body pushing and pulling exercises in your program. If you can, add sprints and some loaded carry variations. If you are doing all these and still have some time and energy, feel free to include a few accessory exercises. Properly chosen accessory exercises can be a helpful addition (for aesthetic or structural balance reasons) to a solid training program of big movements. Application question: am I spending the majority of my training time on big movements or small, little accessory exercises? The single best thing we did for our house painting project this summer was to ask my Father-in-law if he would help us with the painting. Besides being a great guy who is always willing to lend a helping hand for his family, my father-in-law also happens to be a professional painter with many years of painting experience under his belt. Wow, what a difference that made! He knew exactly what we needed, exactly what to do and how to get the job done in the most efficient way possible. What would have taken me at least 2 weeks to do on my own; we were able to do in 2 days. Both exercise and painting are things that seem easy and straight-forward. Just get a brush and slap some paint on the wall. Just pick up a heavy weight and put it down. As a result, many people think they can do it on their own. How hard can it be – right? After all it is not rocket science. Perhaps you can, but you might miss doing important things that can make a big difference in your results. You may also spend a tone extra time on things that don’t really matter or could be done way more efficiently. You still have to put in the work, but you will be better results faster if you have some professional guidance. I have been working on this blog for over 2 years now and there is a ton of free information about training and nutrition and sample programs to help you achieve your goals. You can search for posts on your goals by using the search button at the top right of my blog or scroll down to the categories menu on the right hand side. Take full advantage of this information. Also, check out my Articles Page where I include links to other free articles I have written on the web. In addition, check out my daily training tips on my Facebook page. This book will give you a ton of information on how to train, how to design your own customized meal plan and provide you with 13 complete training programs ranging from beginner to advanced. It is a complete guide for stripping fat off your body, improving performance and looking like an athlete. Click HERE for more info. I also plan to release other full training programs for muscle gain and sports performance enhancement as soon as I finish my current project – a book on fitness for busy parents – stay tuned for more details in the New Year. I offer in-person, live Skype sessions and online coaching. This allows you to get a completely personalized training program and the support you need to reach your goal. Click HERE for more details.